We're in the middle of a heat wave (feels like 41 degrees Celsius - that's 106F !!!!!) and I have had company for the past 6 weeks. Need to get back in the studio. I'll be working with my new, proprietary, Burlesque Blend (first taught at the Claymagination 2011 polymer clay retreat held on Vancouver Island, Canada) and showing you some of the pieces made with this technique as well as some colour variations that look nice in this. Art Deco is one of my all-time favorite design eras. 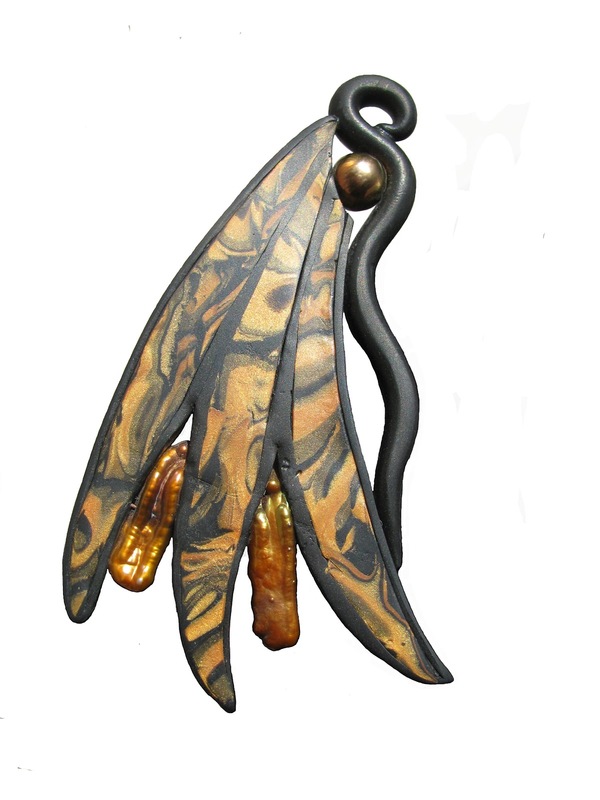 This piece reminds me so much of the beautiful, sensuous, flowing lines in pieces created at that time.